One of Minnesota’s longest-running traditional Irish bands, Barra has been thrilling audiences with its high energy performances since 1999. The band’s repertoire features the old favorite traditional dance tunes and songs, rarer pieces collected on trips to Ireland, as well as material from related Celtic traditions. Barra performs on stages across the Upper Midwest for concerts, festivals, ceilis, and private events, sharing the sheer fun and vitality of a musical tradition loved the world over. Members of the group include Dave Cammack (bodhran and accordion), Paul Garding (guitar and vocals), John McCormick (accordion and vocals), Amy Shaw (flute), and Beth Vance (fiddle). The band is frequently joined by guest fiddler Mary Vanorny and dance instructor Ann Wiberg. 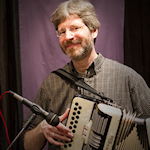 Dave Cammack (bodhran and button accordion) began performing Irish music through his love of Irish dance. Whether he’s dancing or playing the bodhran (Irish drum), Dave is “all about rhythm.” A founding member of Barra, he has also performed with Rí Rá, Laura MacKenzie, and the Knocknagow Irish Dancers. John McCormick has been the “engine driving the tunes” since the beginning of the band. 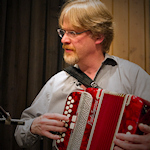 He frequently plays in sessions around the Twin Cities and is an instructor at the Center for Irish Music. Besides the accordion, John plays the bagpipes in the Brian Boru Irish Pipe Band. He has served as the Brian Boru’s Pipe Major for many years and has taught countless piping students. Paul Garding has been laying a solid foundation through his guitar playing ever since Barra began. 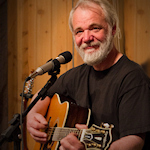 He is also a fine singer, delighting his fans with songs from the Irish, Scottish, Canadian, and American traditions. Paul also performs with Forty Shades of Green, a traditional Irish band based in the Twin Cities. 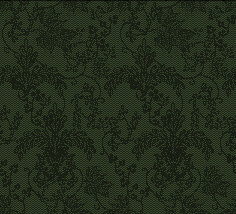 Among his credits is a performance with uilleann piper Paddy Keenan at the Winnipeg Folk Festival in 2005. Amy Shaw has been a member of Barra since 2005. She became interested in Irish music while researching 19th-century English flutes for her master’s thesis. Eventually, Amy acquired her own flute from Canadian flute maker Peter Noy. It’s been her ticket to exploring the musical traditions of Ireland, Scotland, and Nova Scotia, and is her constant traveling companion. 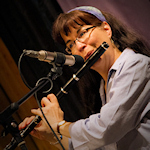 She also plays flute in O’Rourke’s Feast, an Irish “folk orchestra” led by Paddy O’Brien, and is a columnist for the Irish Music and Dance Association Newsletter.